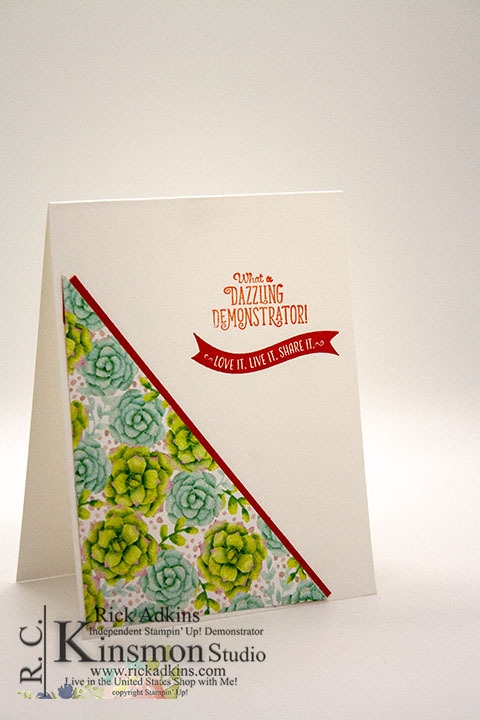 Hello and welcome to my blog; today I am going to share one of the cards that I made for my team this month. I wanted to send my team members a card this month letting them know what they mean to me. 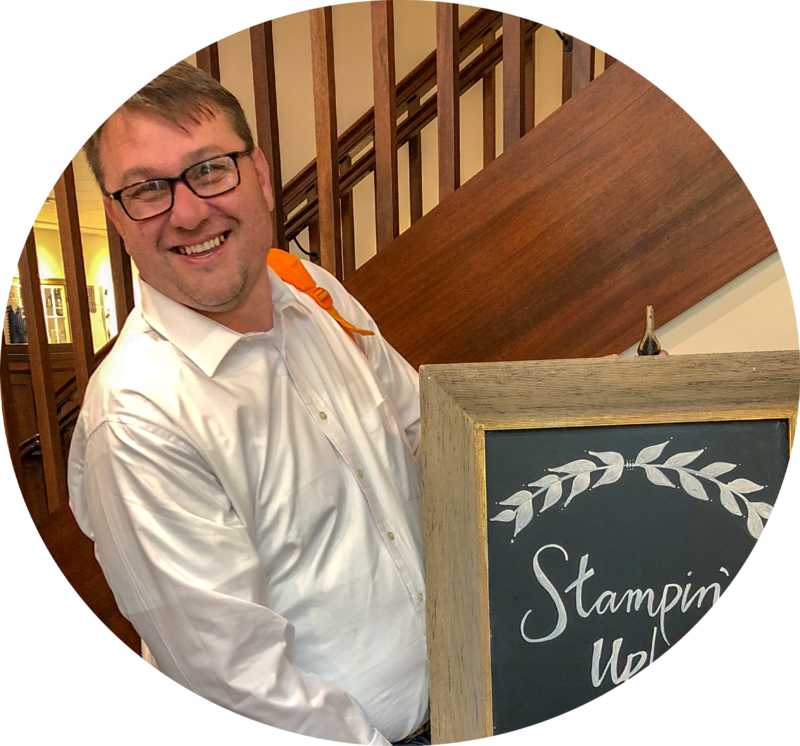 I used a stamp set that was designed for demonstrators to welcome team/family members and to show encouragement to them. The stamp set is called Stamping Your Way to the Top and can only be ordered by a demonstrator. Along with the encouragement set I used some of the Painted Seasons Designer Series Paper a level one and level two Saleabration item. Here's a look at my card. Okay, I mentioned that the Painted Seasons designer series paper was a level one and level two Saleabration item. It's both because it's a level one with the third release of Saleabration items. And it's a level two because it's part of the Painted Seasons bundle which was part of the second Saleabration Release. This pack of paper is by far one of my favorites. It features imagery for all four seasons. There's only a couple more days left to get this item; Sale-a-bration ends March 31, 2019 at 11:59 pm, so get those qualifying orders in now to get this wonderful freebie. 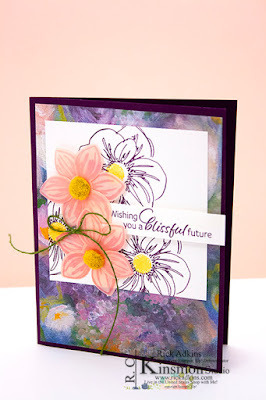 For my card I used colors from the designer series paper for my stamped images. I started out with a piece of whisper white thick cardstock cut at 4 1/4 x 11 scored at 5 1/2. I took a piece of the designer series paper that was cut at 4 x 5 1/4 and then cut it in a diagonal from corner to corner. If you cut a piece of 12 x 12 designer series paper into 4 x 12" strips and then cut each strip down to 5 1/4 you can get six card fronts from each sheet so that would be 72 from a whole pack of designer series paper. This is the best way to get the most from your designer series paper. 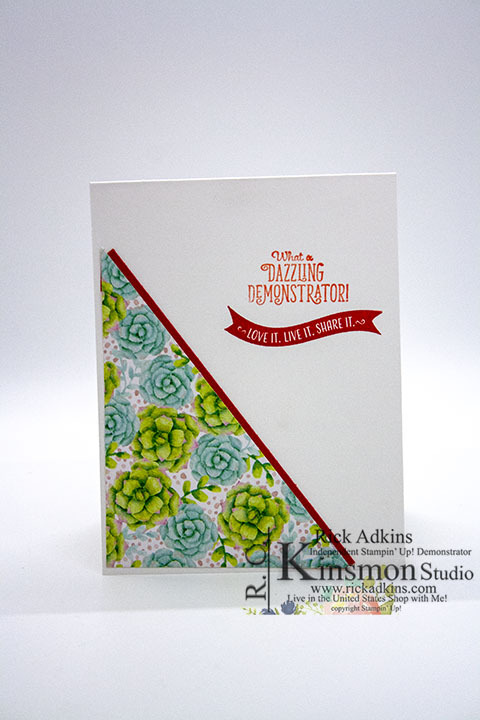 So for my card I used mainly Poppy Parade and Grapefruit Grove inks, but used a variety of different papers. You may be wondering why I used only those two ink colors with that pack of paper. Well if you look on your designer series paper it will tell you all the colors that coordinate with that pack. They coordinate because those same colors listed are all the colors in that one pack of paper. So it could lead you to some totally different color combos than you may be expecting or have never thought of. 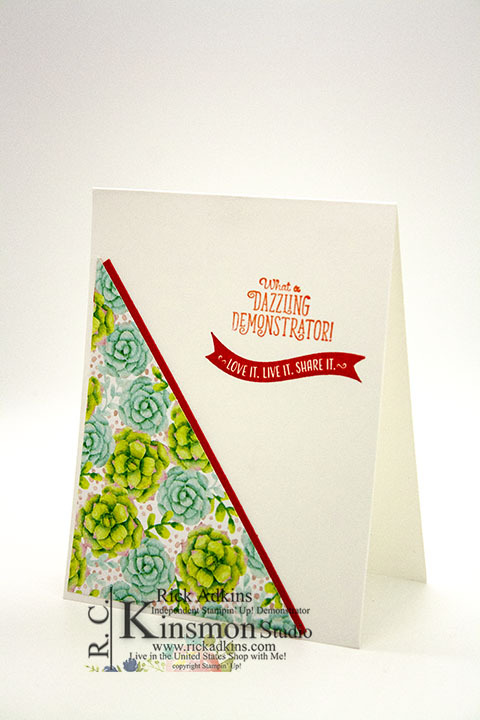 And the best part is that they would work together without issue thanks to Stampin' Up! doing all the color coordination work for us. Thanks for dropping by I hope that you like my cards that my team (stampin' family members as I like to call them) will be getting in the mail very soon. If you would like to become part of the Kinsmon Crafters you still have time to take advantage of the great Sale-a-bration Joining Special going on now! Do you want all the Stampin' Blends that we have, but it's just not in your budget to get such a large order at one time? 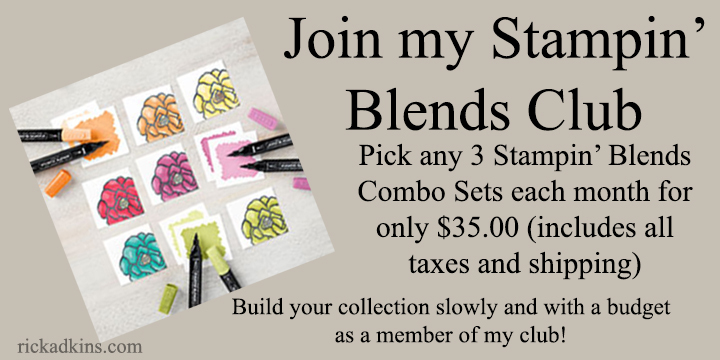 Well I am here to help with my New Stampin' Blends Monthly Club. Click here to join! Coming April 1, 2019 Learn more here!